Abel Korzeniowski was born in Krakow in Poland to a musical family. His mother is a cellist and he has two brothers who are also musicians. He studied cello and composition at The Academy of Music in Krakow, with his classical music studies notably under Krzysztof Penderecki, one of Poland's greatest composers whose music has featured notably on a number of well-known movies including "The Shining", "The Exorcist", "Children of Men" and "Shutter Island". Perhaps this was a factor which influenced Korzeniowski's subsequent career, because it wasn't very long after his graduation that Korzeniowski himself was being commissioned to create music for several movies made by the Polish film industry. His first major film was "Big Animal" in 2000, and this was followed by "An Angel in Krakow" in 2002, "Tomorrow's Weather" in 2003, and a new score for Fritz Lang's silent classic "Metropolis" which was released in 2004. 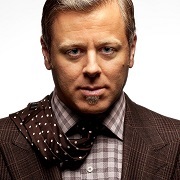 Most likely tempted by the opportunities presented by Hollywood, Korzeniowski moved to Los Angeles in 2006 and there he has scored a number of notable Hollywood movies though he has maintained connections in Poland and continued to score the occasional Polish made film. 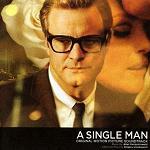 After getting established in the US creating several film scores, Korzeniowski secured the composer role for "A Single Man" directed by Tom Ford, and starring Colin Firth and Julianne Moore. This film received widespread critical acclaim for its director and stars and also for its composer receiving a Golden Globe nomination for Best Original Score. On the basis of this film score, Madonna then asked Korzeniowski to score her movie "W.E." about the affair between Wallis Simpson and King Edward VIII and the score again received a Golden Globe nomination. This success was followed by his scoring "Escape from Tomorrow" and "Romeo & Juliet" both in 2013. By this time Abel Korzeniowski had secured a reputation for subtle and bittersweet emotional film scores with that quality being very much to the fore in his most successful scores. However more recently the composer has branched out from that emotional core into some much darker material and at the same time cemented his position as an A-list composer. Firstly with the film Nocturnal Animals (again working with director Tom Ford) and whose score has some darker more moody material. And secondly with the series "Penny Dreadful" for Television for which the composer received a BAFTA nomination. The music in the latter series was notable for melding elements of horror and action with a strong dash of achingly beautiful passion. 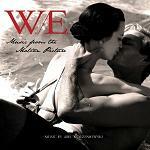 Madonna: The MDNA Tour - the track "Like a Virgin Waltz" was based on "Evgeni's Waltz" for Madonna's "W.E."